The specified file public://inline-images/http_%2F%2Fcom.ft_.imagepublish.upp-prod-us.s3.amazonaws_3.jpg could not be moved/copied because no file by that name exists. Please check that you supplied the correct filename. Confirming yesterday's report that Trump was ready to offer China an "olive branch" following the sharp market drop following reports that the US would crack down on Chinese investment, moments ago Trump administration officials said that the White House would push Congress to strengthen the CFIUS inter-agency panel that it will employ as its main tool to curb Chinese investments in sensitive U.S. technologies. This means that contrary to earlier reports, the White House won't be look to block companies with 25% or more of Chinese ownership from buying certain U.S. tech-related companies. Instead, the government will rely on the newly strengthened Committee on Foreign Investment in the United States to deal with concerns about foreign purchase of sensitive domestic technologies. As Bloomberg notes, this strategy is a less confrontational approach toward China than many had expected. As the FT and WSJ reported on Sunday night, the administration had considered employing a little-used national emergency law called the International Emergency Economic Powers Act of 1977 to curb prospective investments. Instead, the White House wants Congress to empower CFIUS, so it can prevent Chinese companies from violating intellectual-property rights of American companies. Trump’s choice shows that he is favoring a more measured approach that requires coordination with Congress, rather than working through the executive branch. While the House and Senate companion bills on CFIUS modernization need to be worked out, there is interest from Senator John Cornyn, the No. 2 Republican, in creating a list of countries of special concern. The House proposal includes that, proposing China, Russia, Iran, Venezuela and North Korea among a group of countries whose companies would undergo extra scrutiny. Specifically, Bloomberg reports that the CFIUS legislation passed in the House would expand investigations by CFIUS to include minority investments in “critical technology” or “critical infrastructure” and joint ventures where technology companies contribute intellectual property, according to a copy of the proposal seen by Bloomberg. While CFIUS reviews are technically voluntary, the bill would require foreign investors that are at least 25 percent owned by foreign governments to go through CFIUS when they are acquiring at least a 25 percent stake in a U.S. business. However, just as it seemed Navarro was getting the upper hand in The White House, the decision to use CFIUS represents a blow to China hawks in the administration who had publicly called for establishing a new regime to review Chinese investment. 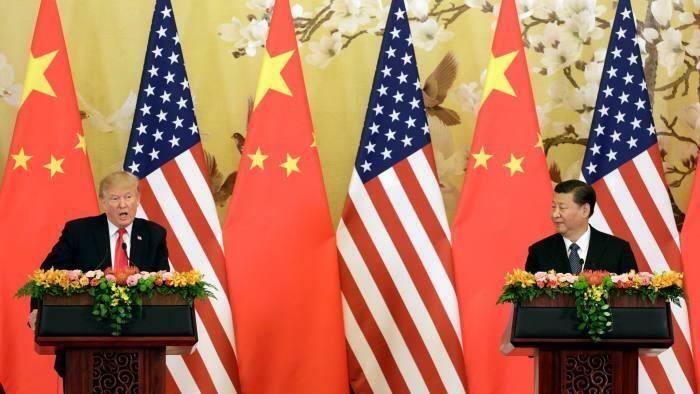 But administration officials insisted on Wednesday that it would not represent any softening in their approach to China. “We believe that we will have a very tough approach,” one senior official said. Detente? 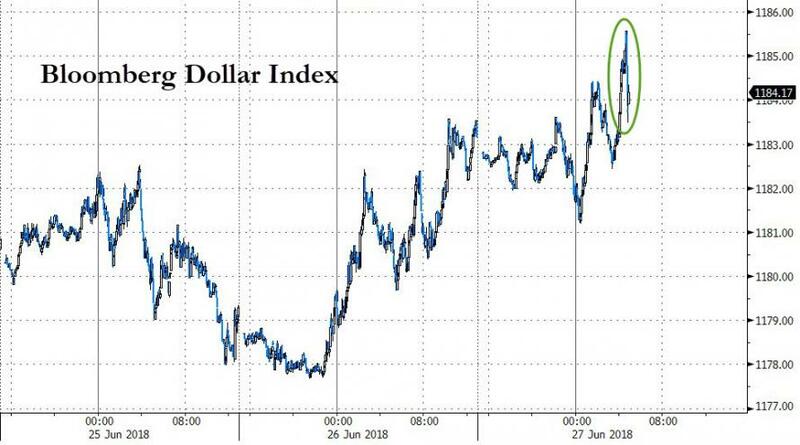 Or are we simply back to the Trump Trade Put? 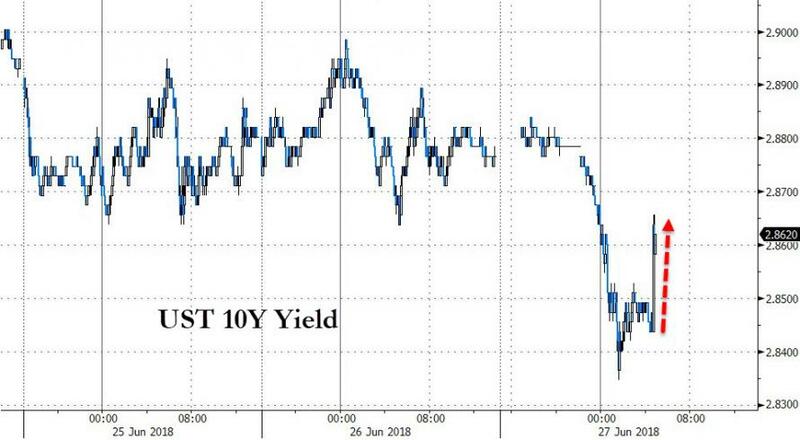 Following the news US equities spiked, erasing all losses, the dollar pared gains and 10Y yields rose 2bps to 2.86% on hopes that Trump may be stepping back from all out trade war with China. 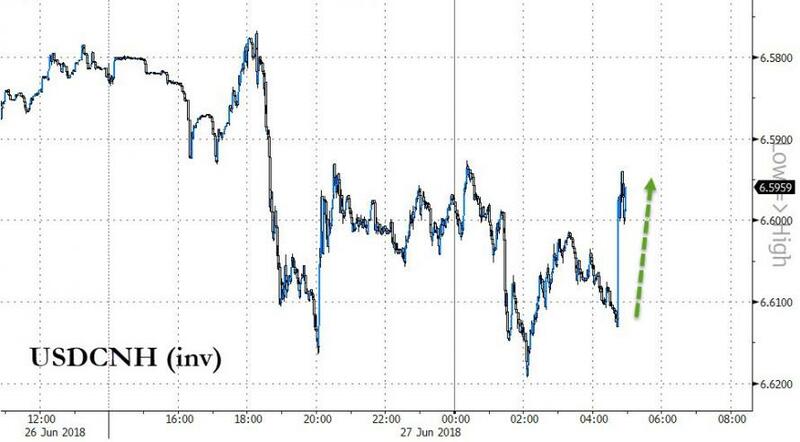 Trump's words have provided a temporary pause in the plunge of the Yuan. On the week, however, US equities remain in the red.